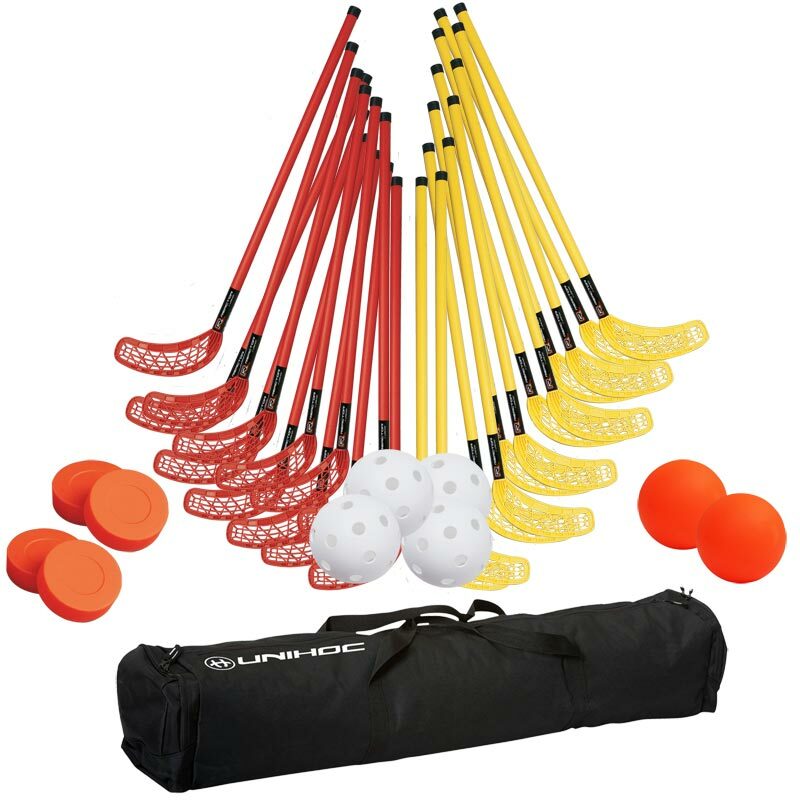 Unihoc Floorball Original Coaching Set are a great addition to schools and youth clubs. They are perfect for indoor Floorball or Unihoc training and matches. 12 x Unihoc Red Sticks. 12 x Unihoc Yellow Sticks. 2 x Unihoc Ball Heavy Duty Orange. Soft and flexible sticks for younger players, suitable for mixed teams. Stick - shaft diameter 25mm, shaft length 80cm, total length of the stick 96cm. Spare sticks can be purchased separately. Please search on our website for Unihoc Floorball Original Stick.